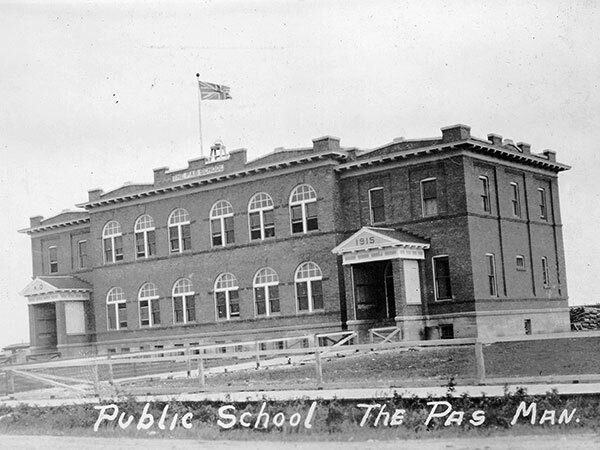 Called Le Pas School District when it was organized formally in July 1912, it was later renamed The Pas School. In 1915, a two-storey brick structure, known as the Red Brick School, was constructed in The Pas on a design by architect G. N. Taylor. The first brick building in the town, it opened for classes in March 1916. 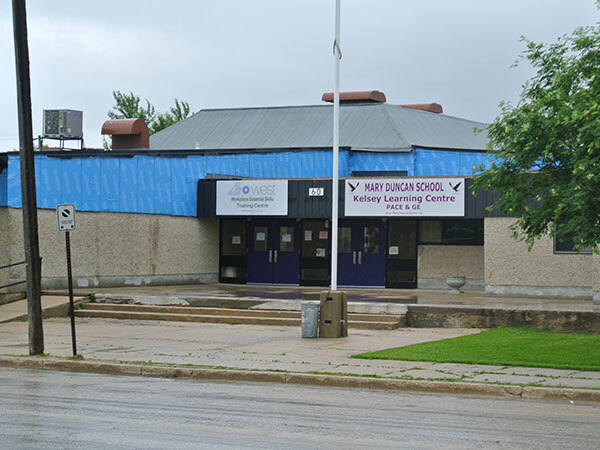 It was demolished in October 1974 and was replaced at the site by Mary Duncan School. This building was damaged in an arson fire on 26 September 2014. GR8461, A0233, C131-3, page 7. History of the Kelsey School Division. This page was prepared by Alan Mason and Gordon Goldsborough.